You may have seen ads for payday loans on TV or on the Internet – but don’t be fooled. Payday lenders may make the application process seem easy. But regardless of whether you get an online payday loan or a loan from a local payday loan store, you can potentially fall into a trap of escalating debt. 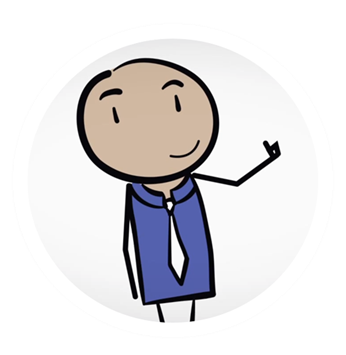 LoanNow is a real alternative to so-called easy payday loans – with the speed and convenience you need but without the rollovers, hidden fees and other pitfalls of payday loans. Should I get a no credit check payday loan? If you need money fast but have bad credit and few valuable assets, a no credit check payday loan may seem like the answer to a prayer. But the relief you may initially feel is soon overwhelmed if you become trapped in the endless cycle of payday loan rollovers. At LoanNow, we provide the money you need when you need it, without the payday loan trap that you don’t need. Besides a no credit check payday loan, the other major option for borrowing money without a credit check is through a pawn broker. Pawn shops represent one of the most expensive forms of secured credit. Pawn brokers provide loans in exchange for Aunt Mildred’s diamond ring or Uncle Fredrick’s antique gold watch. You only get the ring or the watch back once you repay the loan, which is due in full and with a hefty added fee within 30 or 60 days. Unlike pawn shops, a no credit check payday loan requires no collateral. Instead, payday lenders base their approvals on whether you can provide proof of regular income. As the commercials often say, your job IS your credit. If you have a job or receive a check from a government agency or a pension, your odds of approval are excellent. But there’s a catch. Your loan is usually due, in full and with a hefty added fee on your next pay date. If you’re paid every week, you could be expected to repay your loan within just a few days of receiving your money. If you can’t make payment in full on your original repayment date, the payday lender renews your loan, adding a new set of fees and interest charges. After a few rollovers, you may actually owe more than your original loan amount, even if you’ve been making consistent payments. This is how many borrowers who initially take a no credit check payday loan of a few hundred dollars find themselves owing thousands. 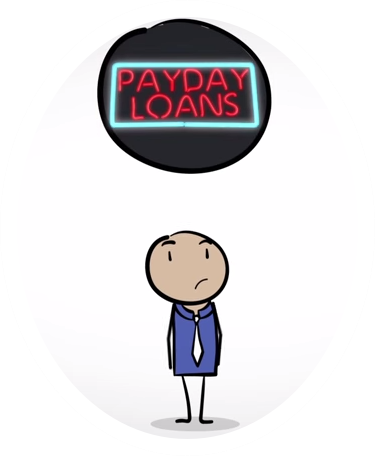 Payday lenders justify their predatory lending practices by citing the high default rate for payday loans. Ironically, these practices are often directly responsible for payday loan defaults. Payday loans appeal to people with low income, limited assets and marginal credit who find it difficult or impossible to borrow from banks. Family and friends may be willing to lend to them, but may not have the means to do so. Pawn shops don’t run credit checks, but demand tangible property as collateral. For many desperate individuals, payday loans represent one of the few options for obtaining credit. They convince themselves that claims for easy payday loans are genuine, while ignoring obvious warning signs. Brick and mortar payday loan stores offer initially easy payday loans through a simple application process. Routine information such as driver’s license number, bank account info, salary and employer contact information pretty much sum up all that is required. Once you’re approved, you submit one or more postdated checks made out to the payday lender. The checks are deposited to your account on the indicated dates. If you don’t have enough money in your account to cover the checks, a stop payment with your bank, the checks bounce, triggering non-sufficient funds fees. If you place a stop payment on the checks, you’re hit with fees from the payday lender. Unscrupulous lenders sometimes even attempt to intimidate borrowers into paying up by making threats to bring criminal check bouncing charges against them. Online payday lenders frequently promise easy payday loans, but there’s often a catch. Many so-called payday loan sites are not operated by lenders, but by aggregators that collect information from borrowers and sell it to third parties. Your bank account and even your identity may be at risk from unauthorized access by scam payday sites. Borrowing from actual payday loan sites doesn’t necessarily mean receiving easy payday loans. Many online payday loan sites are located out of state or overseas, beyond the reach of local, state or even federal law enforcement jurisdiction. Contacting customer service to resolve problems with your loan may prove to be an exercise in frustration. At LoanNow, we say no to rollovers that can jack up the amount of your loan and trap you in a cycle of debt. We never share or sell your information with third parties. And as an accredited business with the Better Business Bureau, we’ve earned an A+ rating, so you can borrow from us with confidence. Experience the LoanNow difference today!